After a long break away from blogging, I'm refreshed and ready to roll once again. This week I'm doing my Christmas decorating. Click on the chalk board image for a closer view. I love my Susan Branch calendar and can't wait to see what the 2015 calendar looks like. This door in my kitchen leads down to the basement where I have all my Christmas goodies stashed. Last night I found my chalk and got to work on my door. Chalk boards are such an inexpensive way to decorate for all the holidays. 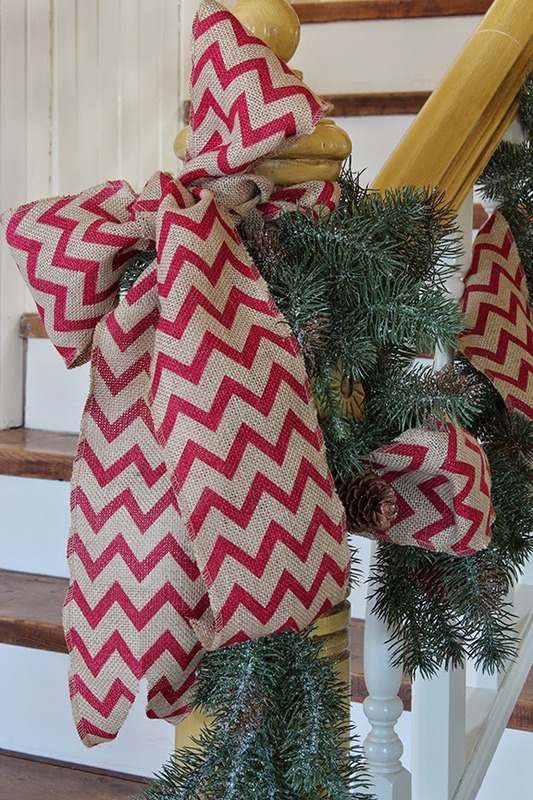 Last year I found some great burlap ribbon at Walmart and used it on the stairway along with some garland…. 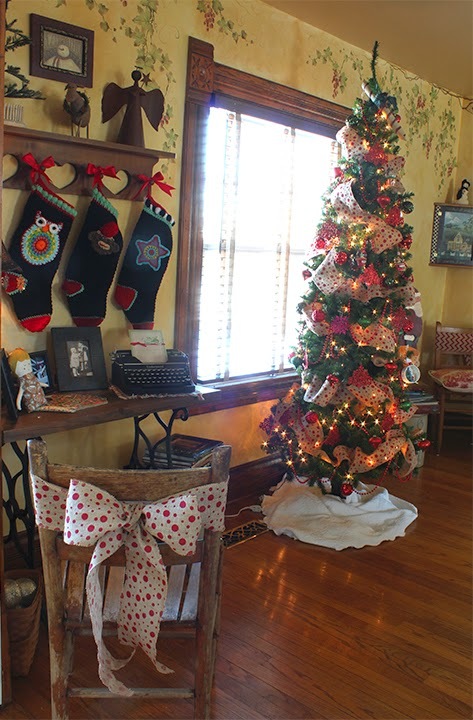 I used it on the tree as well as the old chair. This year we have a new tree and I'll share that with you as soon as I finish decorating it. It's taking me longer every year to get everything decorated. Hope everyone had a great Thanksgiving! Love your chalk board! That ribbon is great too! I could enjoy a chalkboard IF it looked like yours! Wonderful ribbon...funny, I've not seen any like that and I was looking. Going with my plain old again this year. 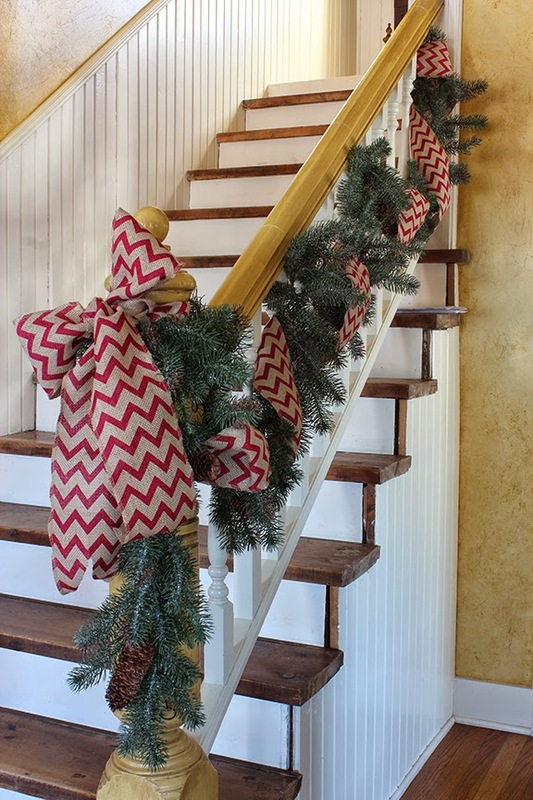 Everything looks very festive, cheery and bright at your place! Welcome home, you've been missed.